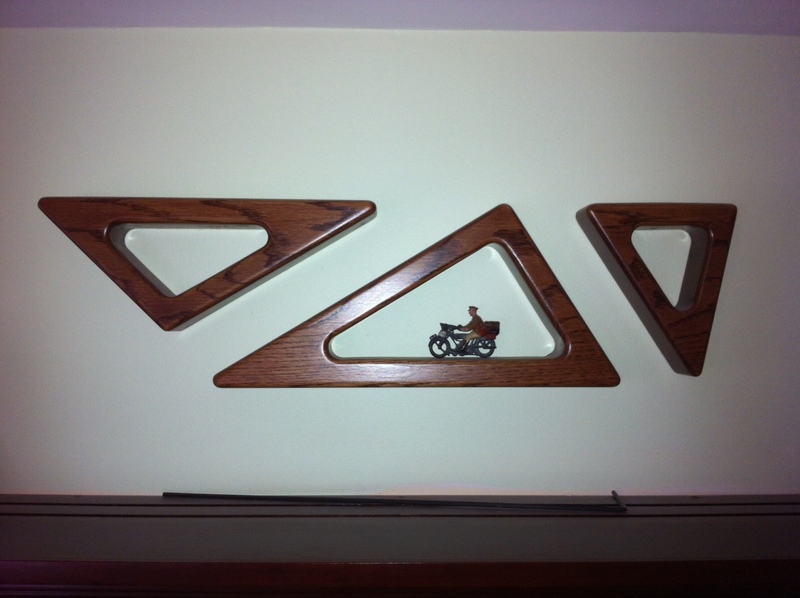 This White Oak shelf evolved from my exploration into the divine proportion. The three triangles can be rearranged into a rectangle of that proportion (1/1.6181…). I had hoped to sell this as a companion piece to another commission but, it took so long to get right, it missed the boat. It now makes a good parking place for my antique motorcycle.